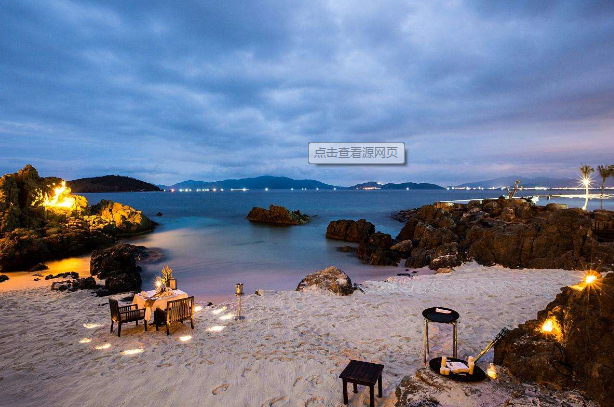 Pearl Island Resort in Phu Quoc Island, to satisfy all your imagination of the island Traveling in Vietnam, many people only know about Nha Trang. 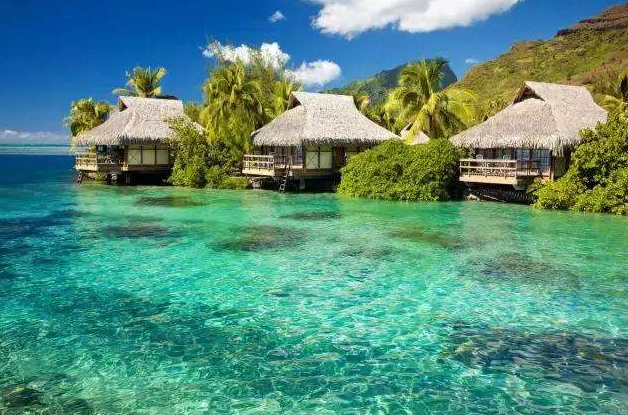 Nha Trang is beautiful, but there is also an island that is amazing for countless people, lying quietly near the coastline.This is the island of Phu Quoc.Phu Quoc Island belongs to Vietnam's Kien Giang, an island of similar size to Singapore.Why is this island so amazing? That's because it hasn't been overexploited. What you see is the purest side of Vietnam.On Phu Quoc Island, we can watch the sunrise in the eastern fishing village and watch the sunset on the west coast; diving enthusiasts can dance with the fish and be listed as the most unspoiled beach by international magazines.This is still a green island with a forest coverage rate of 90%. This is the real natural oxygen bar.People can travel between the virgin forest and the tides, letting all the bad emotions drift away with the wind.The preferred place to come to Phu Quoc Island is a resort called Pearl.Phu Quoc Island Pearl Resort is an international five-star quality hotel that hides in the depths of the rainforest and is surrounded by white sandy beaches and blue seas.It has a completely private beach and the largest water world in Asia.Pearl Paradise, Sea World, outdoor swimming pool, kids club, 27-hole golf course... a lot of entertainment facilities. Even if the house is in a resort, it will not be boring.There is also a free tour bus to go anywhere in the resort.The interior facilities are also very good, comfortable and soft beds, bathrobes, slippers...All are equipped with all kinds of modern facilities and premium brand toiletries, and enjoy the international five-star quality service. At the same time, it has a balcony with sea views, a private bathroom, and an infinity pool and sea view.The spa is not a Thai patent, so you can also enjoy a soothing massage or sing karaoke at the hotel.Phu Quoc Island Pearl Resort is a paradise for children to enjoy, with a large amusement park and a Disneyland. A room card can enter and exit at will, without queuing, no need to pay.It’s as simple as trying to contract a whole amusement park.In the indoor play area there is a 5D cinema, crazy play in a large video game city. Water World Park is one of the largest water worlds in Asia, and the evening musical fountain show always makes children scream.The underwater world here has a variety of tropical fish, sharks, and slowly swimming turtles and colorful corals...Isn’t it enough to look at sea animals? Vietnam’s largest safari park is located here. The park covers an area of ​​380 acres, with 150 species of wild animals, 3,000 individual animals and 1,200 plants.The zoo is divided into two areas, one is the safari area, and the other is an open area, which is suitable for bringing children to close contact with nature and interacting with animals.I am waiting for you in the elegant and natural island of Phu Quoc. 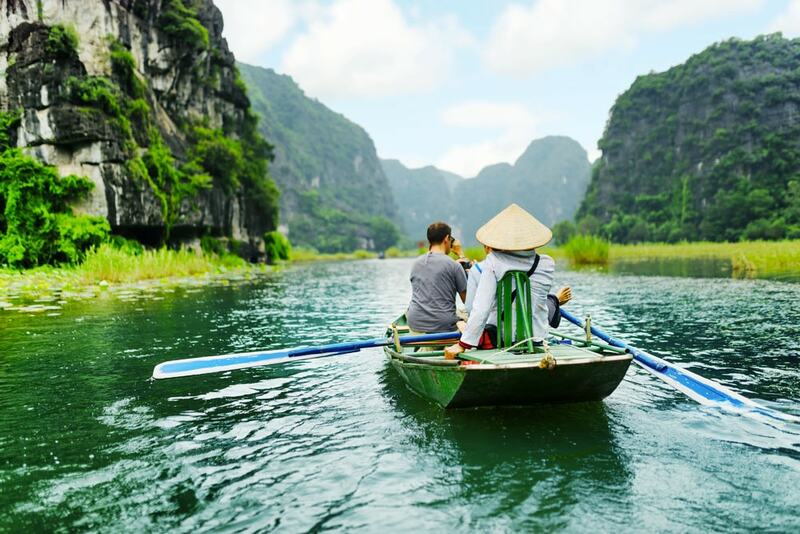 7 Days Hanoi, Halong Bay, Saigon Vietnam TourTour Code: VS071Tour Route: Vietnam-Hanoi-Halong Bay-Saigon (Could Customize)Departure Date: You Choice!Custom Days: 5,6~10.. DaysYou can always customize a similar tour based on this itinerary. Day 1: Hanoi ( D )Arrive Hanoi , Vietnam’s gracious capital. Hanoi has been the political and historical centre of Vietnam for almost 1000 years and has a wealth of sights to explore. 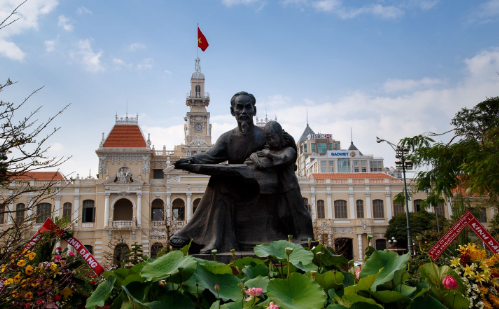 Heavily influenced by French colonial architecture, Hanoi is both historically beautiful and a vibrant capital city sure to entice you.Our representative/tour guide will meet and greet you at the airport. Drive to your hotel. Free at leisure after long route flight. Dinner. Overnight in HanoiDay2:HANOI(B,D)Today, We begin with a cyclo tour of the fascinating Old Quarter - 36 ancient streets where you can observe the daily bustle of life around the markets where peddlers continue to trade as they have done for centuries. We finish at the Old Citadel, then walk along beautiful tree-lined boulevards until we get to Ba Dinh Square, site of the Ho Chi Minh Mausoleum and where Ho Chi Minh first declared independence from French rule in 1945. Ho Chi Minh is without question one of the great figures of twentieth century history and this morning we’ll take time to visit the ‘Ho Chi Minh Quarter’ for a look at the life of the father of modern Vietnam.We visit the humble house on stilts from which ‘Uncle Ho’, as he is affectionately known, ruled Vietnam until his death in 1969. Then continue on to view the Presidential Palace and One Pillar Pagoda. Afterwards, we visit the infamous ‘Hanoi Hilton’ - Hanoi’s former central prison made famous first for the incarceration of the leaders of Vietnam’s national liberation movement and later US Air force pilots shot down over North Vietnamese airspace. The site of the prison was recently developed, however one wing has been retained as a museum.In the evening, enjoy a performance of the unique art of water puppetry and complete your day by dining at one of the city's many excellent restaurants. 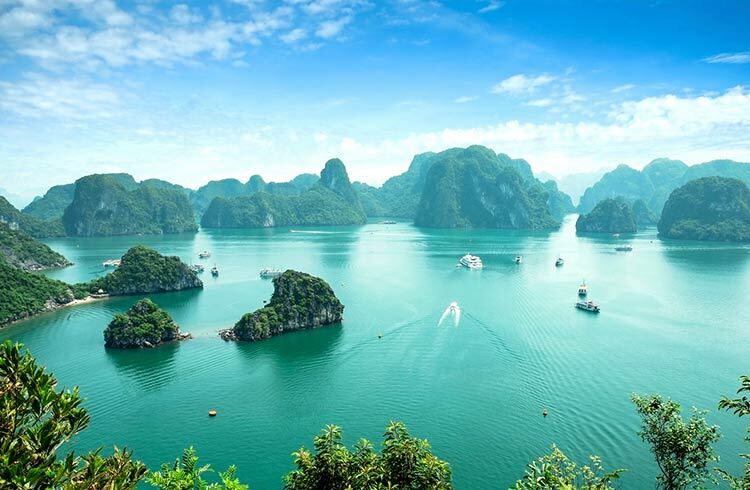 O/n in HanoiDay 3: Hanoi - ( B,L )We spend a day visiting the World Heritage listed Halong Bay - enjoy a cruise through this natural wonder with thousands of islands rising out of the water, creating a beautiful landscape.Have seafood lunch on junk. Swimming at Tiptop Islet, back to hotel, dinner. Visit night market. O/n in HalongDay 4: Halong - Hanoi - Sai Gon ( B,L)Abf at hotel. Driver back to Hanoi then connect flight to Saigon still called Saigon by many locals. A full day city tour takes in the city’s bustling Chinatown and begins with a visit to the Thien Hau Temple, from where you will take a cyclo ride; the most appropriate and unusual way to explore Cholon, literally meaning ‘big market’. The ride will take you to the lively Binh Tay Market. Then visit a lacquerware factory to witness workers continuing a Vietnamese ancestral tradition. After lunch visit the War Museum and the former Presidential Palace, from there on you will go on foot (the car will be available at all times) to visit the major sights of colonial Ho Chi Minh City: the Notre Dame Cathedral, Old Saigon Post Office, Dong Khoi Street (formerly Rue Catinat), Continental Hotel, Opera House and City Hall. the city's busiest market for a look at the diverse fresh vegetables, herbs, spices and tropical fruits that will be our daily fare during our time in Ho Chi Minh City.Day 5: Sai Gon - Cooking Class ( B,L)The next morning we enjoy a hands-on cooking class with our chef who will explain more about the wonderful flavours of Vietnamese cuisine. After enjoy lunch in fun. Next, we travel to Cu Chi and the amazing tunnel system built by Communist soldiers during the Vietnam War. Driver back to HCM city. Free at leisure. O/n in HCMDay 6: Sai Gon - Mekong Delta( B,L)Our journey takes us to the river system of the Mekong Delta ,Vietnam's most fertile region and the source of a large amount of the country's fresh food. The Vietnamese name for the Mekong is "Cuu Long", meaning 'Nine Dragons', symbolizing the nine major tributaries of the Mekong that flow through the Delta to the EastSea.The Delta is an incredibly fertile region of rice paddies, fruit orchards and mangrove swamps and is known as Vietnam's "rice bowl" as it produces the majority of the country's rice supplies and exports. Over the centuries, local residents have created an ingenious system of dykes, canals and waterways for irrigation and for transportation. Perhaps the best way to view the daily lives of the people in the Delta is to take a boat tour through some of these waterways.Day 7: Sai Gon - Departure ( B)Your journey ends with your airport transfer. 10 Days Hanoi-Ninh Binh-Halong Bay-Hue-Danang-Hoian-Ho Chi Minh Vietnam TourTour Code: VH101 Departure Date: You Choice! Custom Days: 8~30.. DaysTour Route: Hanoi-Ninh Binh-Halong Bay-Hue-Danang-Hoian-Ho Chi Minh(Could Customize)You can always customize a similar tour based on this itinerary. Day 1: HANOI-ARRIVAL (D)Arrive at NoiBaiAirport. Pick up and transfer to a hotel in the city. An afternoon sightseeing tour features both cultural and historical highlights, comprising Hoan Kiem Lake ( lake of restored sword), Ngoc Son Temple, and a downtown pedicab ride "cyclo" (1 hour) round the old quarters with a stop at a newly-restored traditional long house. The sightseeing day ends with a water puppet show, a theatrical genre reflecting the agricultural civilization of thousands of years ago. Overnight in HanoiDay 2: HANOI-NINH BINH (B,L)Breakfast at hotel. 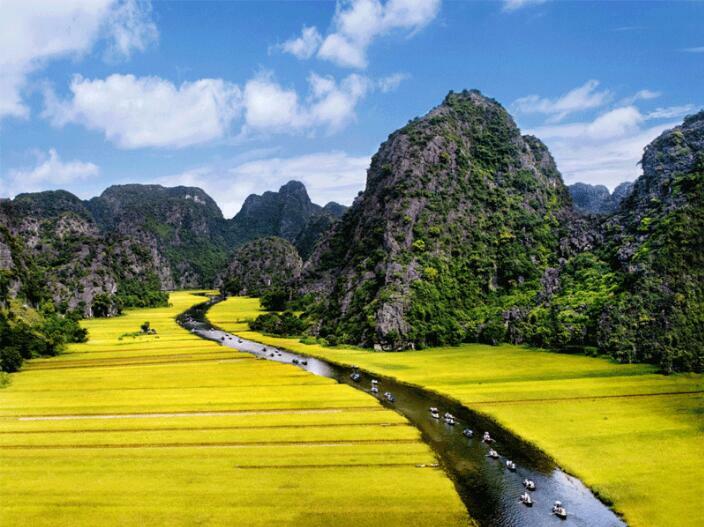 The trip to Ninh Binh (Hoa Lu) with the spectacular landscape of “inland HalongBay”. Visit to the Dinh & Le dynasty temples, followed by an exciting sampan cruise in the Tam Coc valley through caves and visits to Bich Dong pagoda. The mountainous scenery and rural life style seen en route will make beautiful snapshots. Back to Hanoi. Overnight in HanoiDay 3: HANOI-HAIPHONG-HALONGBAY (B,L)Breakfast at hotel. Visit to Temple of Literature, Ho Chi Minh Mausoleum and his house, One-pillared pagoda.Overland to Halong (170km from Hanoi ) via Hai Phong with stopover at handicrafts' shop for refreshment . Visit to Du Hang pagoda and HangKenhTemple. Proceed to Halong. Overnight in Ha LongDay 4: HA LONG BAY- HANOI (B, L)Breakfast at hotel. 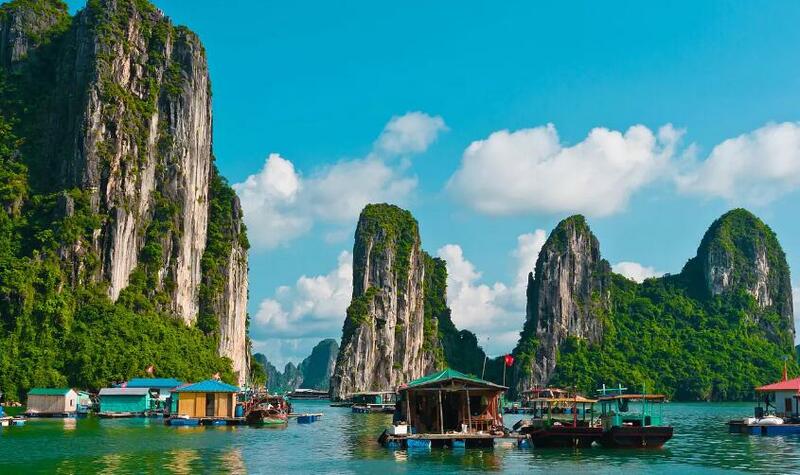 Enjoy a day excursion to Halong. Board a private boat for a cruise in HalongBay (5 hours), a world heritage site recognised by UNESCO in 1994. Visit some magical grottoes, marvel at odd-shaped islands and relax in the best scenic beauty of Vietnam. Lunch of fresh seafood is served on board. Return to Hanoi with stopovers at ceramic and hand embroidery workshops en route. Overnight in Hanoi Day 5: HANOI-HUE (B,D)Early morning transfer to NoiBaiAirport for a short flight to Hue. Pick up and transfer to a hotel in the city.A morning tour focuses on the Imperial Citadel, built in 1804 on a site chosen in accordance with geomancy. In the afternoon, visit the tombs of King Tu Duc (ruled 1848 – 1883) and King Khai Dinh (ruled 1916 – 1925). The monuments, designed by the kings themselves, were also used as holiday retreats during their lifetime. Overnight in HueDay 6: HUE- DANANG- HOIAN (B,L)Breakfast at hotel. Visit to Dong Ba Market, famous for its best conical hats in Vietnam. Boat on PerfumeRiver and visit Thien Mu Pagoda. Transfer to Hoi An (140km). Admire beautiful landscape on the road over the Hai Van Pass or explore the newly-opened 6,280-metre-long Hai Van Tunnel, the longest highway tunnel in Southeast Asia. Stop at Da Nang and visit to ChamSculptureMuseum. Visit to Hoi An ancient town, take a leisurely walk through the ancient town, a world heritage site recognized by UNESCO in 1999, to feast your eyes on antique structures: residential houses, assembly halls, pagodas, markets, etc. Overnight in Hoi An Day 7: HOIAN-DANANG-HOCHIMINHCITY (B,L)Visit to fishing market in early morning. Breakfast at hotel. Transfer back to Da Nang airport and take a short flight to Ho Chi Minh City. Pick up and transfer to visit WarMuseum, Notre Dame Cathedral & Central Post Office. Transfer to China town to see ThienHauTemple, Binh Tay Market and a lacquer workshop. Overnight in Ho Chi Minh cityDay 8: HO CHIMINHCITY-TAY NINH- CU CHI TUNNELS (B,L)Breakfast at hotel. In the morning, travel to Tay Ninh, visit to the CaoDaiHolySeeTemple at noon-time service. Then continue to Cu Chi, famed for its 200-kilometre-long tunnels. Crawl down a tunnel to feel the underground life, then test your marksmanship with an AK rifle at a local rifle range (03 bullets/pax). Transfer back to Ho Chi Minh city. Overnight in Ho Chi Minh cityDay 9: HO CHI MINH CITY- VINH LONG (B, L)Breakfast at hotel. Transfer to Vinh Long, boat on MekongRiver to see Cai Be floating market, sampan ride along small canal, visit to Binh Hoa Phuoc Islet with local home, bonsai garden, taste seasonal fruits, tea with honey. Lunch at local home. Return to Ho Chi Minh city. Stope over to visit Vinh Trang pagoda. Overnight in Ho Chi Minh cityDay 10: HO CHI MINH- DEPARTURE (B)Breakfast at hotel. Free at leisure until check-out at noon. Transfer back to the airport for departure. 12 Days Hanoi-Halong Bay-Hue-Hoian-Phan Thiet-Ho Chi Minh-Mekong Detla Vietnam TourTour Code: VH121 Departure Date: You Choice! Custom Days: 8~30.. DaysTour Route: Hanoi-Halong Bay-Hue-Hoian-Phan Thiet-Ho Chi Minh-Mekong Detla(Could Customize)You can always customize a similar tour based on this itinerary. Day 01:HA NOI - ARRIVAL:(D)Hanoi - Vietnam’s gracious capital. Hanoi has been the political and historical centre of Vietnam for almost 1000 years and has a wealth of sights to explore. Heavily influenced by French colonial architecture, Hanoi is both historically beautiful and a vibrant capital city sure to entice you. Upon arrival at Hanoi airport, guide & bus will pick up and transfer to hotel for check-in. Free at leisure after long route flight. In the afternoon, we begin our Hanoi experience with a cyclo tour of the fascinating Old Quarter, HoanKiemLake, then transfer to Dinner. O/n in HanoiDay 02 :HA NOI - HA LONG BAY:(B - L - D)Abf at hotel. 08:00AN visiting Hanoi’s first University - the Temple of Literature - dating back to 1070. This historical centre of learning is now dedicated to Confucian worship. Also visit the infamous “Hanoi Hilton” - Hanoi’s former central prison made famous first for the incarceration of the leaders of Vietnam’s National Liberation movement and later US Air force pilots shot down over North Vietnam. The site of the prison was recently developed, however one wing has been retained as a museum. Tour will be continued toto Ba Dinh Square, site of the Ho Chi Minh Mausoleum and where Ho Chi Minh first declared independence from French rule in 1945. Ho Chi Minh is without question one of the great figures of twentieth century history and this morning we’ll take time to visit the ‘Ho Chi Minh Quarter’ for a look at the life of the father of modern Vietnam.We visit the humble house on stilts from which ‘Uncle Ho’, as he is affectionately known, ruled Vietnam until his death in 1969. Continue on to the intriguing Ho Chi Minh Museum, an amazingly surreal exhibition of the life of Ho Chi Minh, set in the context of major events of the twentieth century and Vietnam’s struggle for independence. We’ll also view the Presidential Palace and One Pillar Pagoda. Then, enjoy lunch. 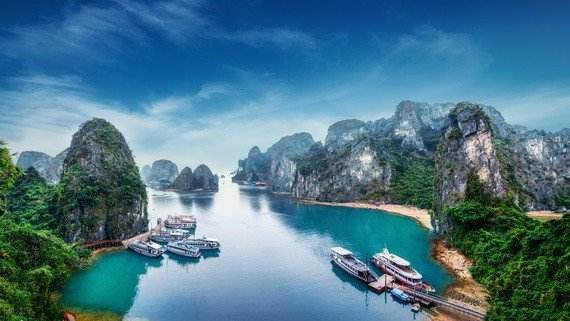 After that transfer to HalongBay,HalongBay is famous internationally, and is recognized as a World Heritage by UNESCO for its thousands of natural islands. Hotel check in. Free at leisure. Dinner. O/n in HalongDay 03 :HA LONG BAY - HA NOI (B-L-D)Abf at hotel. This morning we will take 4hours cruise to explore HalongBay ( most of the islands are uninhabited and untouched by man. The ancient Vietnamese believed that HalongBay was where a giant dragon "descended into the sea", as the rocky outcrops resemble the humps and scales of a dragon's back. Another legend says that the giant limestone rocks themselves are dragons, protecting Vietnam from hostile invaders. In fact the bay was formed as a result of millions of years of erosion on the limestone rocks. Then when the last ice age finished, the seas rose as the glaciers melted, flooding the entire area transforming hills into the islands we see today. Lunch will be on board. After lunch , back to Hanoi. Free at leisure for shopping. Enjoy Water Puppet show. Dinner. O/n in HananoiDay 04: HANOI – HUE (B-L-D)This morning transfer to the airport for the morning flight to Hue on Vietnam’s central coast. Hue is a beautifully located city on the banks of the PerfumeRiver. As Vietnam’s capital throughout the Nguyen Dynasty (1802-1945), as a centre of Vietnamese Buddhism and scholarship and finally as the setting for some of the Vietnam War’s most bloody fighting, Hue provides a unique window into Vietnam and its complex past. Today visit the impressive home of the Nguyen Dynasty emperors - the Citadel. Much of the Citadel was destroyed during the Tet Offensive in 1968 but is gradually being restored. Then travel to the much revered Thien Mu Pagoda, Hue’s oldest and most beautiful, and return to your hotel by dragon boat along the PerfumeRiver. Later, drive through the Hue countryside to visit the impressive tomb of the Emperor Tu Duc, then this evening sample some of the delicious and unique cuisine that Hue is famous for.Day 05: HUE – HOIAN(B-L-D)From Hue we travel to Danang via the spectacular Hai Van Pass. This drive is considered one of the most beautiful in Vietnam and takes you through a combination of both rural and coastal settings. Our first stop is the ChamMuseum. The Cham people occupied this area of Vietnam from the 4th to the 16th centuries and in the museum you will find the best examples of Cham sculpture anywhere in the world. We continue south to MarbleMountains, a series of large marble outcrops that have acquired mythical significance over the centuries. The caves of MarbleMountains house a number of sacred Buddhist shrines as well as a former communist guerrilla hospital from the Vietnam War. From the MarbleMountains there are great views across ChinaBeach and the surrounding countryside. We then take a short drive to ChinaBeach, site of the former US beach R&R spot, and then travel further south to Hoi An which was Vietnam’s most active trading centre over many centuries and has been largely preserved. The architecture of the city reflects the influence of Chinese, Japanese, Portuguese, French and British traders. Hoi An is also the town where French Missionary Alexandre De Rhodes introduced Catholicism to Vietnam as well as the Romanised script that has become the standard Vietnamese script. This afternoon we take a walking tour of enchanting Hoi An visiting an old merchant house, the Hoi An Museum, a Chinese assembly hall and the JapaneseCovered Bridge. Free at leisure for shopping. Dinner. O/n in HoianDay 06: RELAXING DAY IN HOIAN (B,D)Most of today is free for you to enjoy this beautiful town with its many clothing shops, colourful fish market and river life. You may wish to hire a bicycle and peddle around the town or relax at the beach or at your resort swimming pool. In the late afternoon, Enter the town just as ancient traders did centuries ago, along this historic waterway! This evening , take part in a fun, hands-on cooking class and learn how to prepare some of the local delicacies and enjoy it . O/n in HoianDay 07: HOIAN – HOCHIMINH- PHAN THIET (B)This morning transfer to the airport for your flight to Ho Chi Minh City - Vietnam’s commercial capital and a city of extraordinary energy. Despite its rush to modernity, Saigon, as it is still known, is a friendly and welcoming place with many reminders of its turbulent past and a palpable momentum towards the future. Upon arrival, pick up and transfer to Phan Thiet , located 200 km from Saigon along Vietnam's southeastern coast, Phan Thiet is home to one of the best stretches of beach in the country. Phan Thiet is the classic example of a resort which has retained its fishing village culture. The town itself has remained untouched by tourism, whilst a collection of excellent resorts have opened up along the coast on the MuiNePeninsula. Well spaced and sensitively constructed, these resorts offer everything that a visitor could want from a beach destination. Hotel check-in. Free at leisure. O/n in Phan ThietDay 08:RELAXING ON BEACH ( PHAN THIET) (B)Free at leisure for fullday enjoythe beach.Day 09:RELAXING ON BEACH ( PHAN THIET) (B)Free at leisure for fullday enjoy the beach.Day 10: PHAN THIET – HOCHIMINH(B,D)Abf at hotel. Transfer back to HCM. Hotel check-in. This afternoon begin a walking tour of Saigon’s famous and historic city landmarks. The tour will take you through the heart of the city along Dong Khoi Street (formerly Rue Catinat), past the RexHotel, Ho Chi Minh Square, Municipal Theatre and Notre Dame Cathedral. Following a tour of the ReunificationPalace (formerly the Presidential Palace) and WarRemnantsMuseum, drive to Cholon, the Chinatown district of the city. Visit the enormous Binh Tay wholesale market, with its beehive of stores hawking everything under the sun before visiting the ornate Thien Hau Pagoda, dedicated to the Goddess of the Sea. Dinner on cruise along SaigonRiver. O/n in HCM cityDay 11:HOCHIMINH – MEKONG DETLA TOUR(B,L,D)Abf at hotel. This morning, we begin the trip to My Tho area to explore the Mekong Detla, The Delta region is formed by the various tributaries of the mighty MekongRiver. The Mekong is one of the world's great rivers, beginning its journey in the mountains of Tibet and winding its way for 4,500 km through China, Myanmar, Laos, Cambodia and southern Vietnam. The Vietnamese name for the Mekong is "Cuu Long", meaning 'Nine Dragons', symbolizing the nine major tributaries of the Mekong that flow through the Delta to the EastSea.The Delta is an incredibly fertile region of rice paddies, fruit orchards and mangrove swamps and is known as Vietnam's "rice bowl" as it produces the majority of the country's rice supplies and exports.Over the centuries, local residents have created an ingenious system of dykes, canals and waterways for irrigation and for transportation. Perhaps the best way to view the daily lives of the people in the Delta is to take a boat tour through some of these waterways. A brief float through the Delta provides a vivid glimpse of life in Vietnam's rural areas, where nearly 80% of the country's population still lives. In the afternoon, back to Hochiminh city. Free at leisure for shopping. O/n in HochiminhDay 12: HOCHIMINH – FLIGHT BACK(B)Abf at hotel. Free at leisure for shopping until transfer to airport for flight back. End tour. 8 Days Hanoi Halong Bay Hue Danang Hoian Ho Chi Minh City Vietnam TourTour Code: VH081Tour Route: Hanoi-Halong Bay-Hue-Danang-Hoian-Ho Chi Minh City (Could Customize)Departure Date: You Choice!Custom Days: 6~20.. DaysYou can always customize a similar tour based on this itinerary. Day 1: HANOI – Arrival (D)Arrival in Hanoi. Pick up and transfer to hotel. Free at leisure. Dinner. Overnight in Hanoi.Day 2: HANOI – HALONG (B,L)Early morning to see "Tai Chi" exercise around HoanKiemLake. Breakfast at hotel. 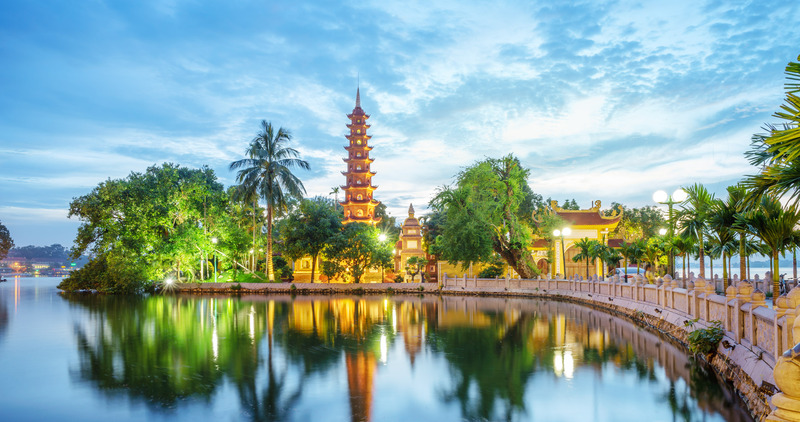 Half day sightseeing tour features both cultural and historical highlights, comprising Temple of Literature, Ho Chi Minh Mausoleum and his house, One-pillared pagoda, Then visit Tran Quoc Pagoda, QuanThanhTemple. Lunch. Transfer to HalongBay , (170km from Hanoi ) with stopover at handicrafts' shop for refreshment. Hotel check in. free at leisure. O/n in HalongDay 3: HANOI-HA LONG BAY-HANOI (B, L)Breakfast at hotel.Enjoy a day excursion to Halong. Board a private boat for a cruise in HalongBay (5 hours), a world heritage site recognised by UNESCO in 1994. Visit some magical grottoes, marvel at odd-shaped islands and relax in the best scenic beauty of Vietnam. Lunch of fresh seafood is served on board. Return to Hanoi. ., continue for Hanoi city tour visit Hoan Kiem Lake (lake of restored sword) , Ngoc Son Temple, and a downtown pedicab ride "cyclo" (1 hour) round the old quarters with a stop at a newly-restored traditional long house. and sightseeing day ends with a water puppet show, a theatrical genre reflecting the agricultural civilization of thousands of years ago. Overnight in HanoiDay 4: HANOI-HUE (B,D)Breakfast . Transfer to NoiBaiAirport for a short flight to Hue. Pick up and transfer to a hotel in the city.A morning tour focuses on the Imperial Citadel, built in 1804 on a site chosen in accordance with geomancy. In the afternoon, visit the tombs of King Tu Duc (ruled 1848 – 1883) and King Khai Dinh (ruled 1916 – 1925). The monuments, designed by the kings themselves, were also used as holiday retreats during their lifetime. Boat on PerfumeRiver and visit Thien Mu Pagoda. Overnight in HueDay 5: HUE- DANANG- HOI AN (B,L)Breakfast at hotel.Visit to Dong Ba Market, famous for its best conical hats in Vietnam. Transfer to Hoi An (140km). 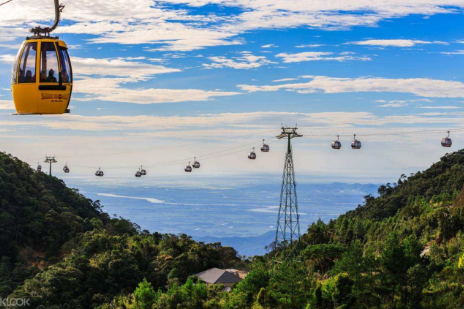 Admire beautiful landscape on the road over the Hai Van Pass or explore the newly-opened 6,280-metre-long Hai Van Tunnel, the longest highway tunnel in Southeast Asia. Stop at Danang and visit to ChamSculptureMuseum, MarbleMountain, stone carving village. Proceed to Hoi AnVisit to Hoi An ancient town, take a leisurely walk through the ancient town, a world heritage site recognized by UNESCO in 1999, to feast your eyes on antique structures: residential houses, assembly halls, pagodas, markets, etc. Overnight in HoianDay 6: HOI AN - DANANG – HO CHIMINHCITY (B,L)Visit to fishing market in early morning. Breakfast at hotel. Transfer back to DanangAirport for flight to HCMCThen visit Notre Dame Cathedral , CentralPost Office & HistoryMuseum. Transfer to China town to see ThienHauTemple, Binh Tay Market and a lacquer workshop. Overnight in Ho Chi Minh cityDay 7: HO CHIMINHCITY - MY THO - HO CHIMINHCITY (B, L)Breakfast at hotel.The tour takes visitors deeper into the Mekong Delta to survey the vast rice fields and waters of MY THO. It gives a close contact with traditional rural life in Vietnam by stop-overs at orchards on Islet , and a boat ride on the criss-cross waterways of the Mekong Delta always proves to be a fascinating and rewarding experience for all visitors. Overland to My Tho, boat on MekongRiver to visit the islet with local home, garden, taste seasonal fruit, tea with honey.Lunch at local restaurant on island ( special offer : 01 banana wine/pax). Return to Ho Chi Minh city with stopover at Vinh Trang Old pagoda. Overnight in Ho Chi Minh cityDay 8: HO CHIMINHCITY -DEPARTURE (B)Breakfast at hotel. Free at leisure until check-out at noon. Transfer to the airport for departure flight.